I read this manga as part of the Hub Challenge; I normally read graphic novels & love them, but I have to admit, I found it difficult at times to follow this book on bullying. The black & white illustrations were good but there was not much dialogue and I couldn't get enough information on the characters, thoughts and movement forward of the story line. I am going to read the next 2 in the series since they are also on The Hub Challenge and will let you know what I think. 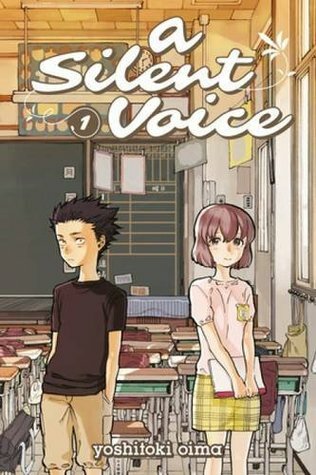 Sign into Goodreads to see if any of your friends have read A Silent Voice, Volume 1.